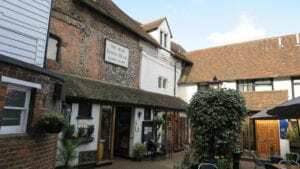 At the western end of the High Street, close to the Pump Corner junction with West Street and South Street, there is a courtyard entrance located between Shoerite and the Dry Cleaners. 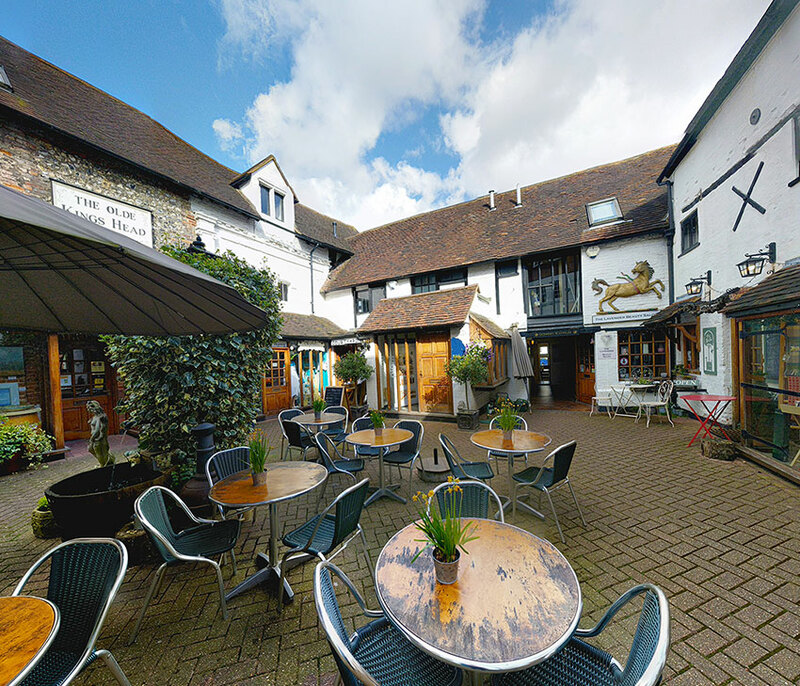 Once in the courtyard you can locate our entrance immediately to the right of the Old Kings Head Court Café. 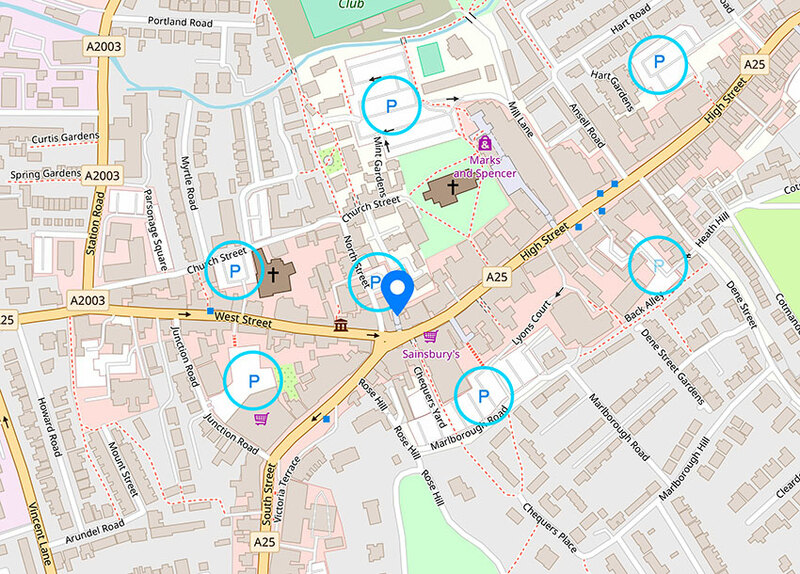 We have no parking available at our offices but there are numerous public car parks nearby, all as indicated on the map below. The closest is the North Street car park which allows access via a walkway through to the courtyard area of Old Kings Head Court. Junction 9 (Leatherhead) is approximately 7.9km away. Junction 8 (Reigate) is approximately 16km away. The closest main line station is Dorking (main), approximately 1.5km away. Main line services to both Victoria and Waterloo approximately 40minutes. Dorking Deepdene and Dorking West stations are equally close with connections to Redhill and Guildford.